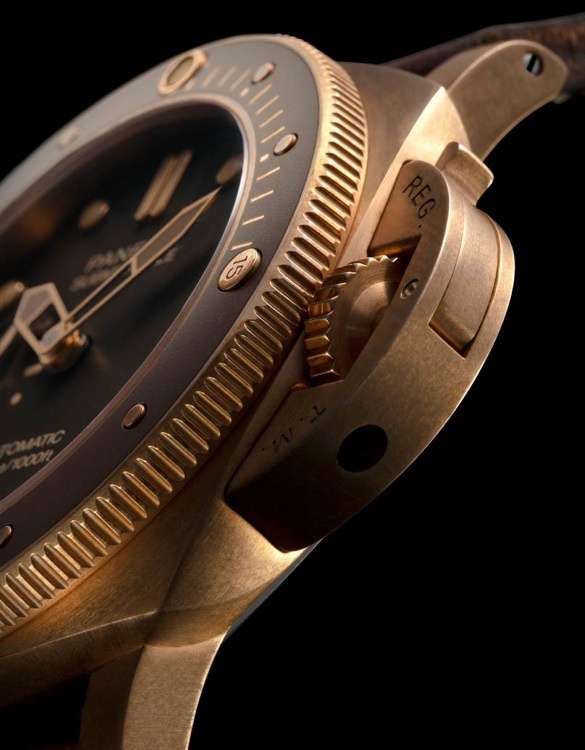 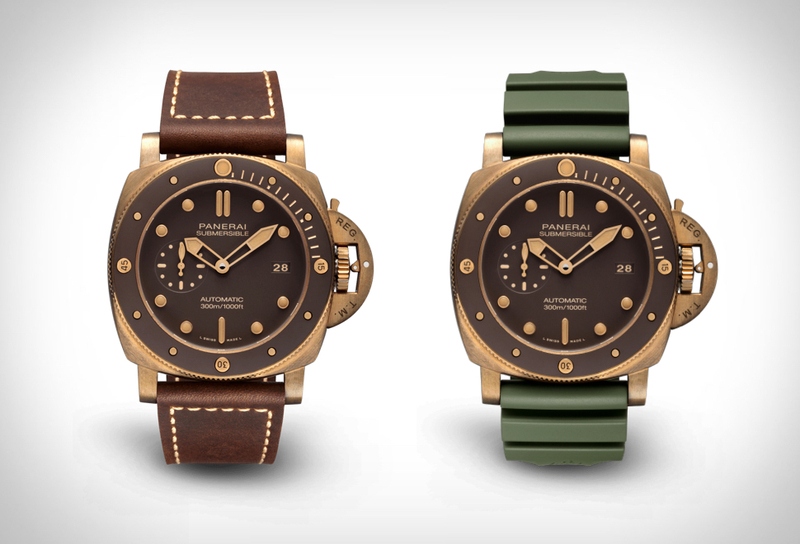 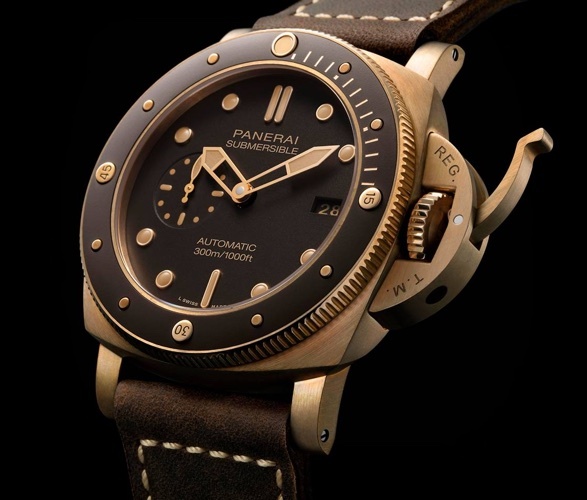 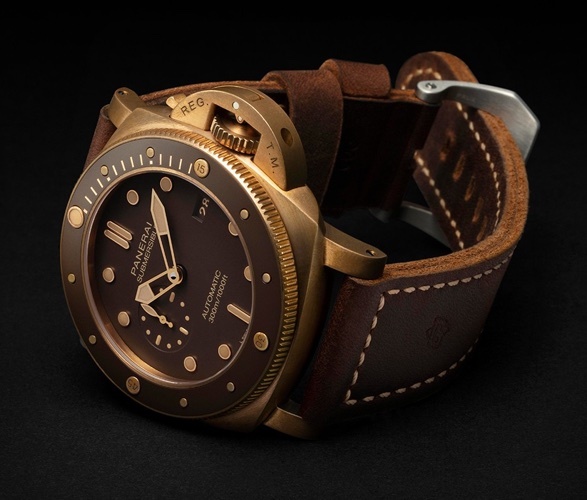 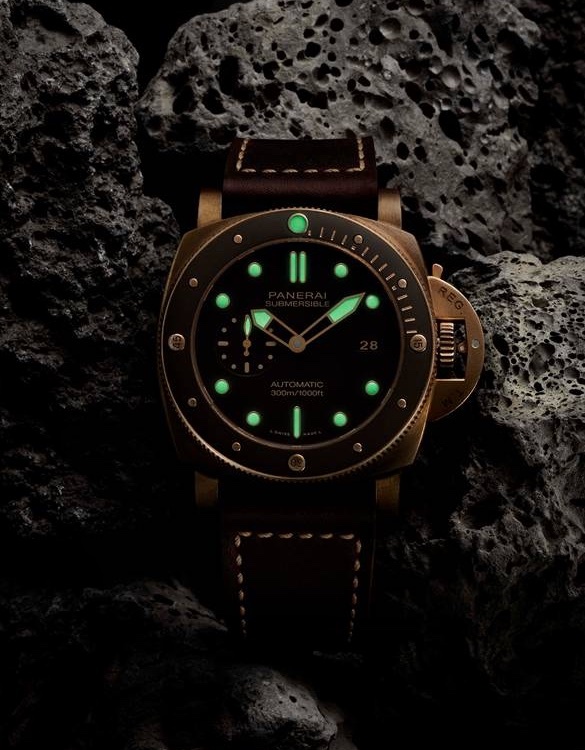 Watch manufacturer Panerai have introduced a gorgeous new timepiece, the stunning Panerai Submersible Bronzo, a heavy-duty professional dive watch with a case made out of bronze. 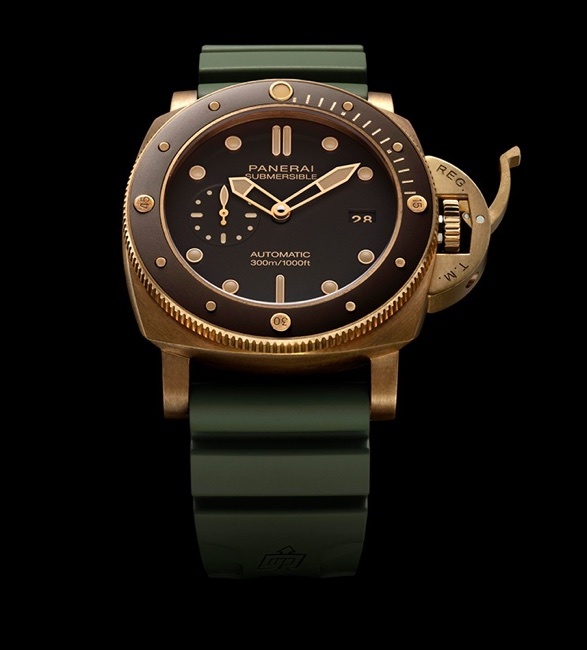 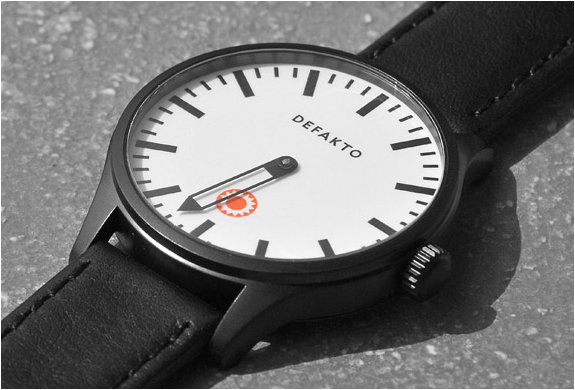 The 47mm solid bronze case houses an automatic mechanical P.9010 calibre movement, and is attached to a natural leather strap (military green rubber strap is also included) and a titanium buckle. 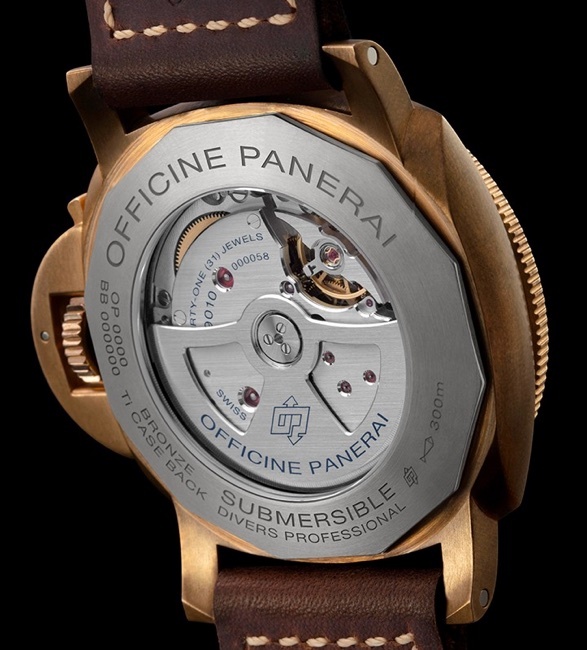 The elegant timepiece is water-resistant up to a whopping 300m (30 bar), holds a power reserve of three days and can be admired through the sapphire porthole on the caseback.